This statistic describes the number of critical drug shortages from June 2011 to June 2013, sorted by theraputic class. 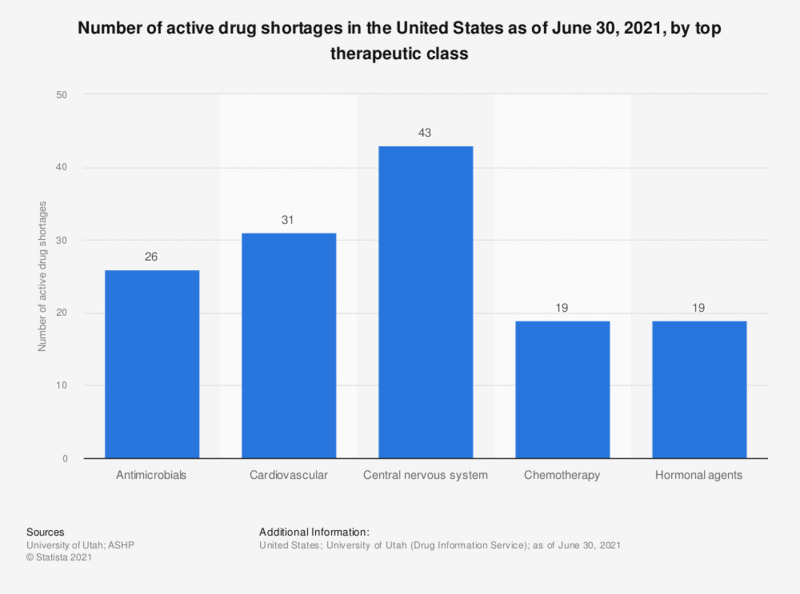 With reaching 37 in that period, the highest number of critical shortages occured in the class of anesthetic and central nervous system drugs. * Includes other therapeutic classes, such as dermatological drugs and immunological drugs, as well as 4 drugs whose therapeutic classes were unavailable from Red Book.